Contact Warsash Scientific Pty Ltd.
Now available from Warsash Scientific , P-604 lever actuators supplement the portfolio of the PiezoMove series from PI (Physik Instrumente). They are designed for a particularly cost effective production of large quantities, with installation space kept to a minimum (19.5 x 13 x 4.1mm). 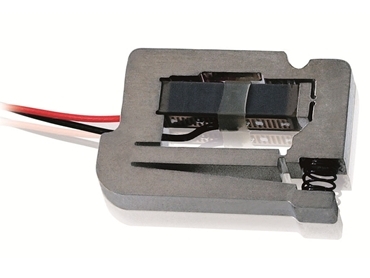 The driving force behind P-604-type lever actuators are PICMA multilayer piezo actuators. They have an all-ceramic encapsulation that makes them extremely robust and durable. With a reputation for high quality products, PI (Physik Instrumente) has been one of the leading players in the global market for precision positioning technology for many years. PI's product range is available from Warsash Scientific in Australia and New Zealand, a long-time distributor and reliable technology partner and consultant.